Full moon behind clouds, Fairfield Glade, Tennessee. August 13, 2011. 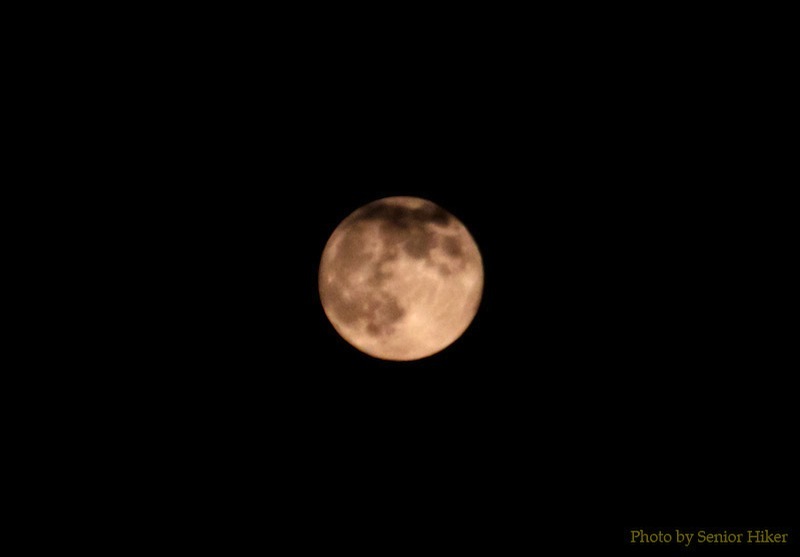 We had a full moon on August 13, and I was looking forward to getting a good picture of the moon that evening. Unfortunately, it seemed that Mother Nature had other ideas. The day was very pleasant with a few clouds, but the clouds increased as evening approached. The moon did a pretty good job of hiding behind the clouds when I first went out, but I noticed that the clouds were moving fairly quickly, so I stayed out with my camera, hoping for the best. The full moon, Fairfield Glade, Tennessee. August 13, 2011. I finally got this almost cloud-free picture. Maybe I’ll have better luck next month. Erosion at Blue Mesa, Petrified Forest National Park, Arizona. June 13, 2011. When Betsy and I visited the Petrified National Park in June, we went into the park through the northern entrance. As a result we first saw the Painted Desert, which was absolutely beautiful. We knew that we would see petrified wood as we drove south through the park. Yesterday I posted about Blue Mesa, an area of the park where the effects of erosion can be readily seen. The picture above was taken from an overlook on Blue Mesa. If you look at the cliff across the valley, you’ll notice debris from erosion. Petrified Wood at the base of a cliff at Blue Mesa. June 13, 2011. 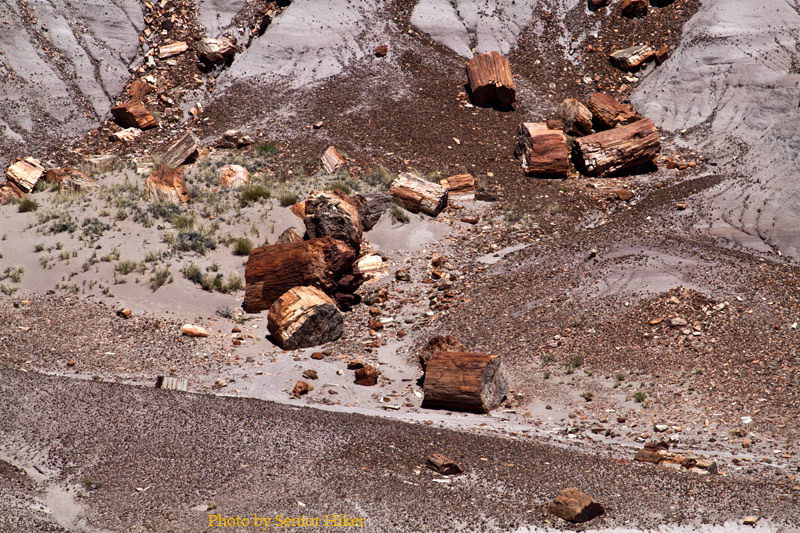 My telephoto lens showed that the debris was petrified wood. 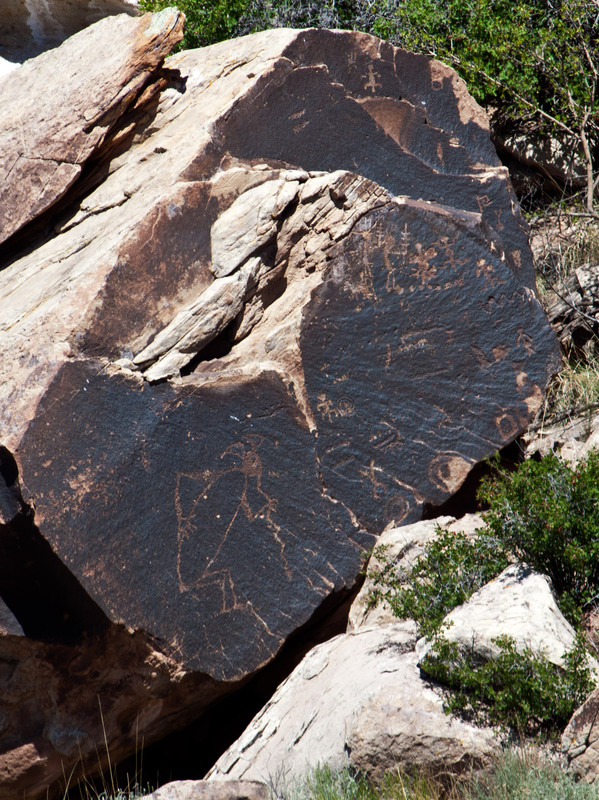 It was our first sighting of petrified wood, but definitely wouldn’t be our last. 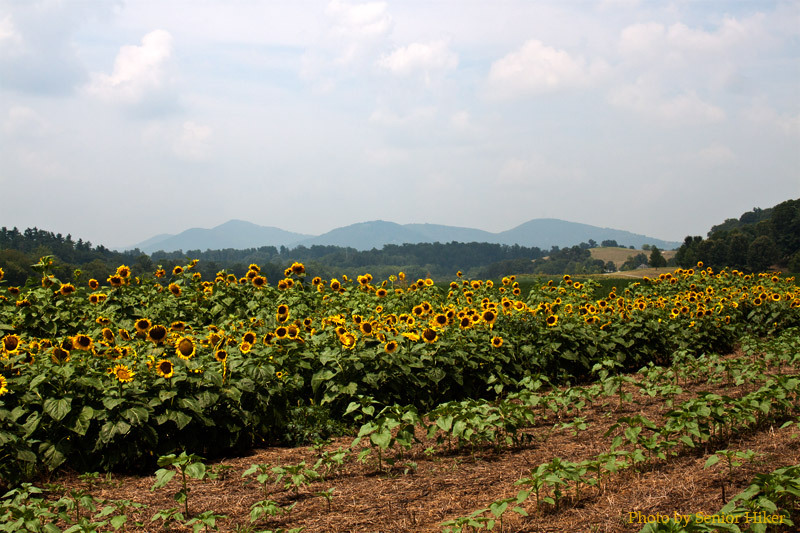 Sunflowers on the Biltmore Estate, Asheville, North Carolina. August 5, 2011. We went to the Biltmore Estate in Asheville on Betsy’s birthday. There is so much to see and the gardens change with each season. We visited the Italian Garden on this trip, and I’ll have pictures from there at a later date. 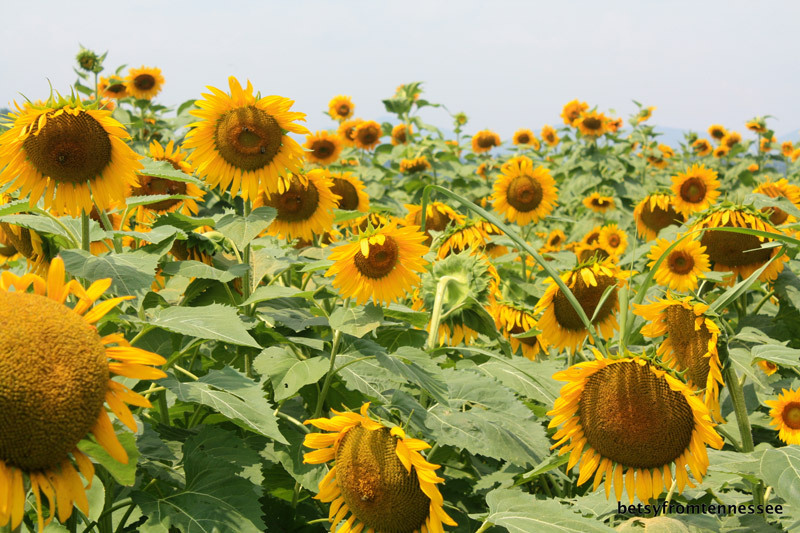 But as we were leaving the estate, we came upon a field of sunflowers. Of course we had to stop and get some pictures. We especially liked the mountains and hills in the background. The sunflowers themselves were big, bright and beautiful, as you can see in this picture Betsy captured. Betsy enjoying her birthday sunflowers. Biltmore Estate, Asheville, North Carolina. August 5, 2011. 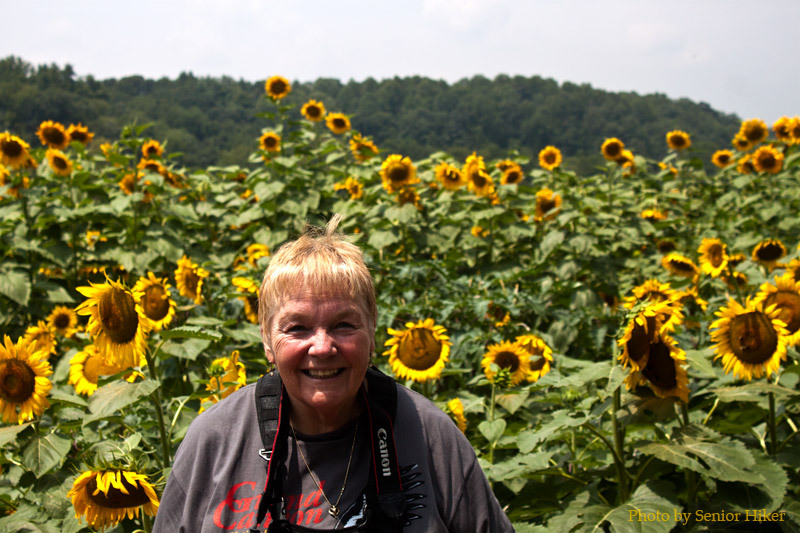 But I personally think that the sunflowers paled in comparison to the smile of my Beautiful Bride. Spanish Glow Day Lily, Fairfield Glade, Tennessee. July 25, 2011. 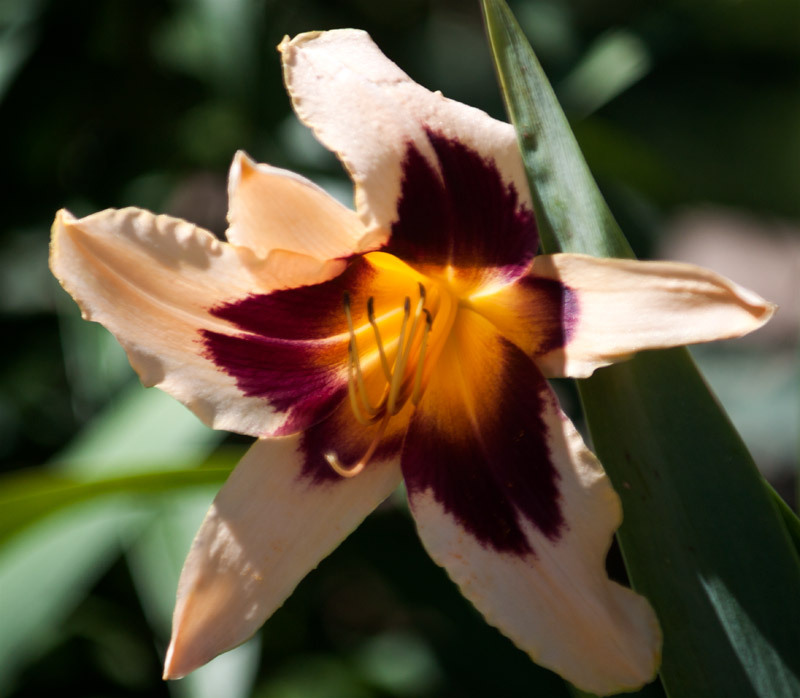 Betsy and I missed the blooming of most of the lilies and day lilies in our yard because of our trip last month. 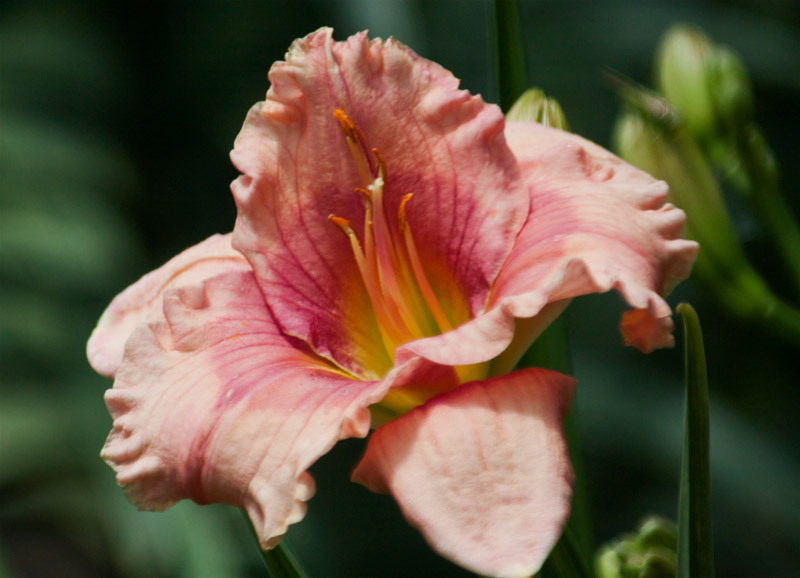 But some day lilies are continuing to bloom, and we are enjoying their bright refreshing colors during this hot spell we’re enduring. 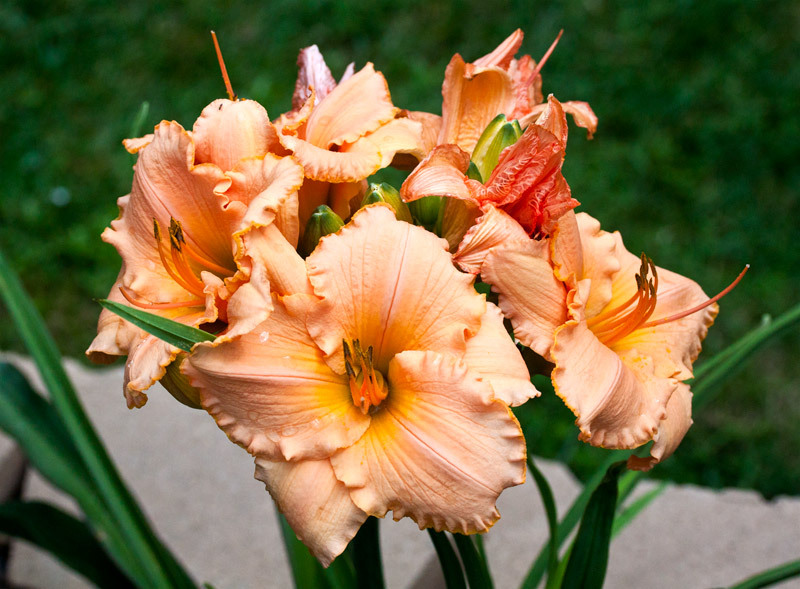 All of these day lilies are in our new flower bed along the road, and this is the first time they’ve bloomed for us. 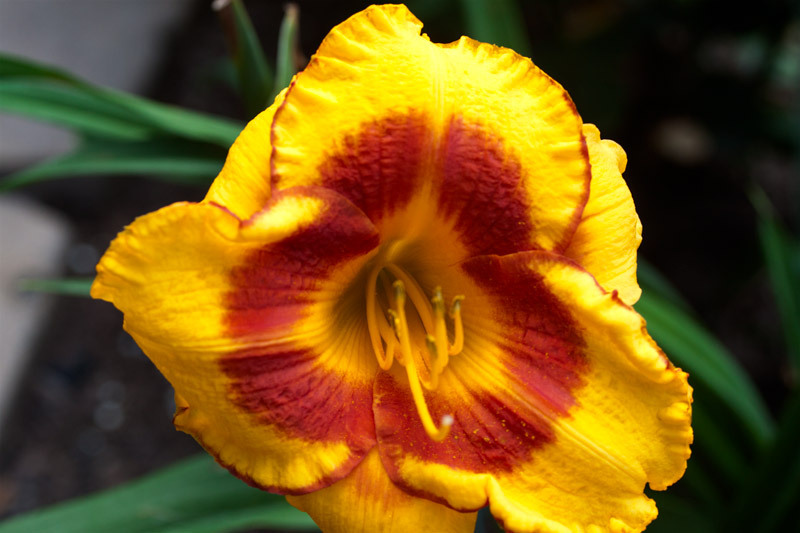 The day lily above is Spanish Glow. Carlotta Day Lily, Fairfield Glade, Tennessee. July 5, 2011. 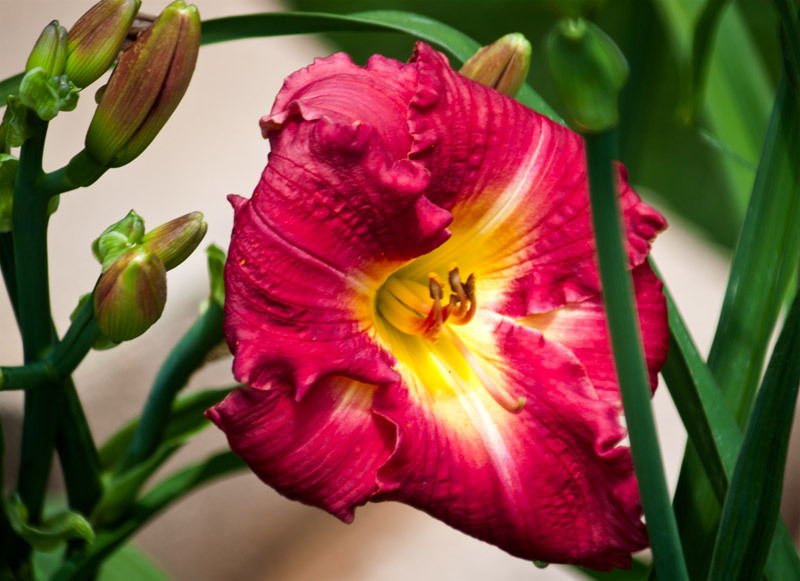 Carlotta is the reddest of our day lilies. Wild Horses Day Lily, Fiarfield Glade, Tennessee. June 30, 2011. Wild Horses only had one blossom while we were home, which made it difficult to get a good picture. But I did like the color. Elegant Candy Day Lily, Fairfield Glade, Tennessee. July 5, 2011. Elegant Candy has a pretty — dare I say, elegant — pastel color. Fooled Me Day Lily, Fairfield Glade, Tennessee. July 25, 2011. We weren’t sure that Fooled Me was going to bloom this year, but it did come through and shared its bright colors with us. Petroglyphs at Puerco Pueblo, Petrified Forest National Park. June 13, 2011. 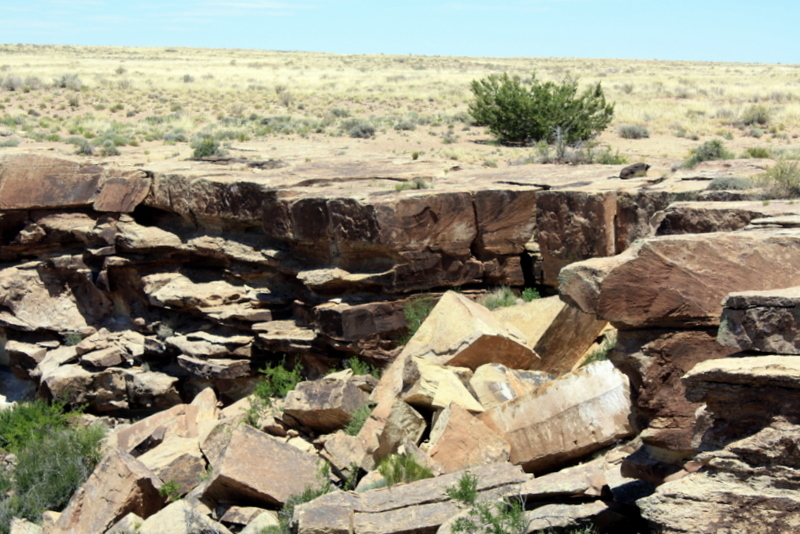 Betsy and I have often heard others talk about petroglyphs, and when we visited the Petrified Forest National Park we were able to see some for ourselves. Another boulder at Puerco Pueblo with petroglyphs. June 13, 2011. The first set we saw was at Puerco Pueblo, an archeological site which was occupied between 1250 and 1400. The petroglyphs were on the side of cliffs adjoining the village, although we were unable to view one set because the trail leading to the viewing platform was closed because of swarming bees. 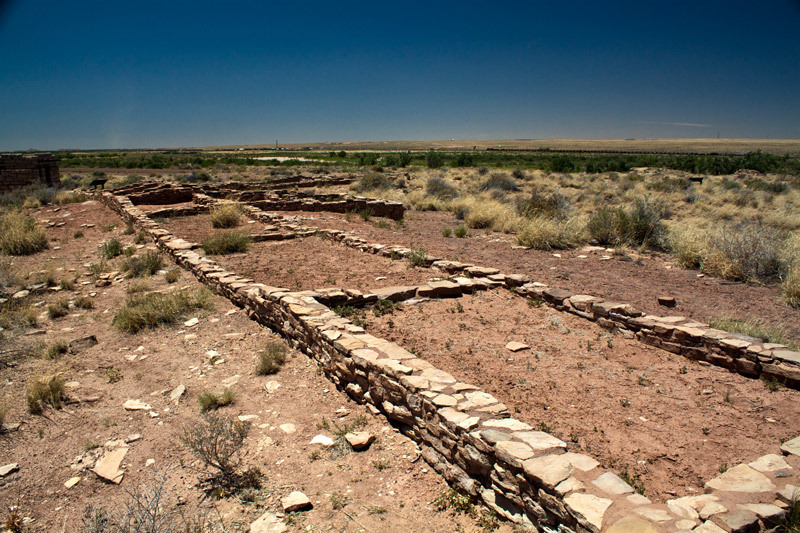 The ruins of Puerco Pueblo. June 13, 2011. The picture above shows some of the ruins of the village. 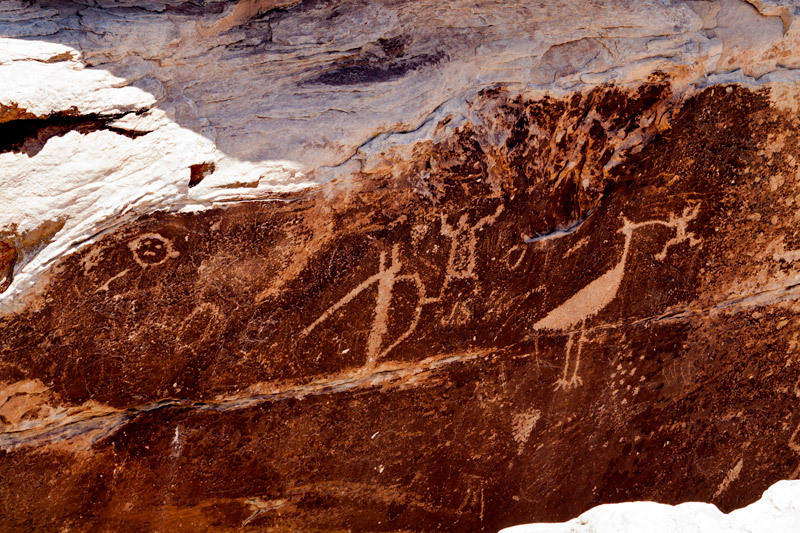 The second set of petroglyphs was at Newspaper Rock, shown above in a picture that Betsy took. 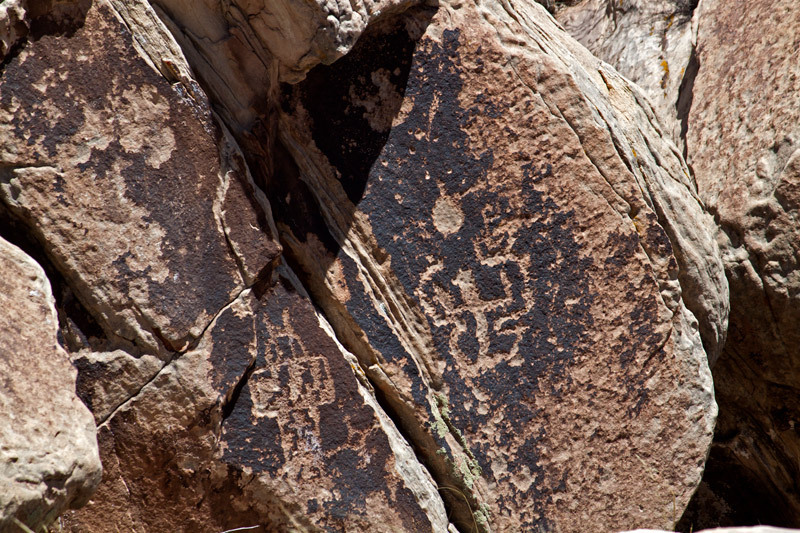 There are more than 650 petroglyphs on the cliff and on boulders that have tumbled from the cliff. Because of defacement that has taken place in the past and unstable hillsides, visitors are restricted to a viewing platform at the top of the cliff. There was quite a crowd on the platform, and it was very windy, but we did manage to see a few of the images. Petroglyphs at Newspaper Rock. June 13, 2011. 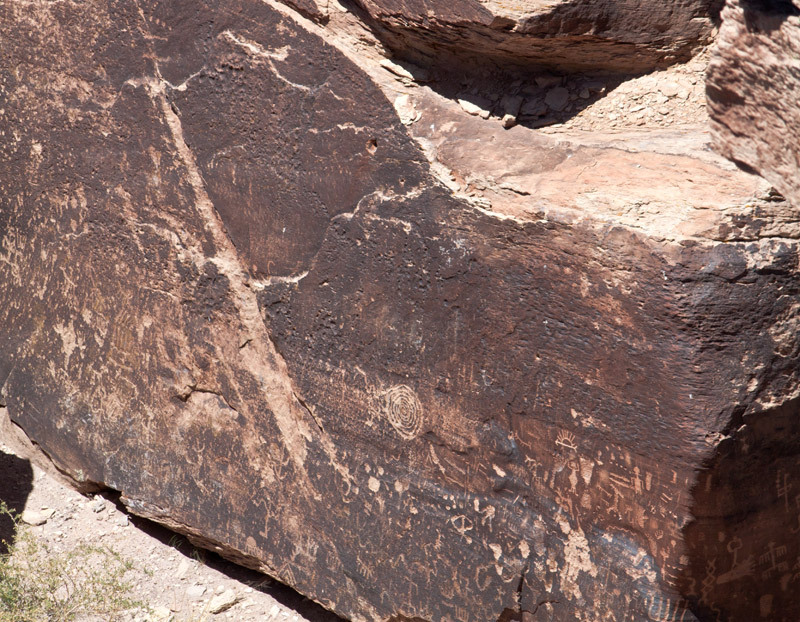 The light wasn’t the best for the petroglyphs on this boulder, but they are on at least two of the sides. The lower image on this boulder reminds me of how I feel after working all day in the garden. Our first look at the Painted Desert from the Tiponi Point overlook. June 13, 2011. The Painted Desert was our first major stop on our recent trip west. 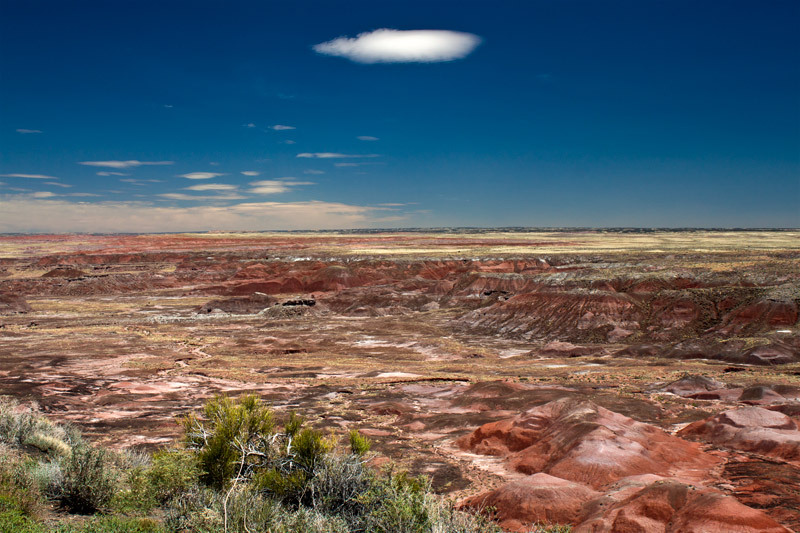 The Painted Desert encompasses over 93,500 acres and stretches over 160 miles. 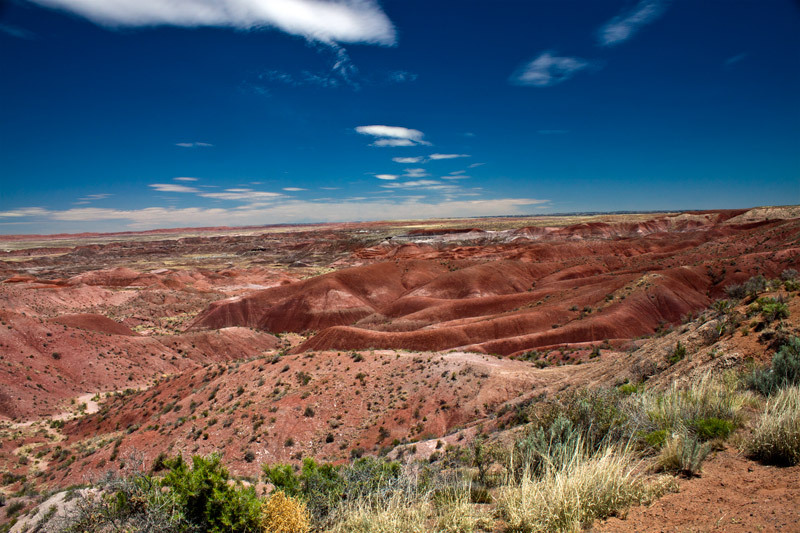 The Painted Desert gets its name from the multitude of colors raining from lavenders to shades of gray with vibrant colors of red, orange and pink. It is an expanse of badlands hills and buttes in a beautiful landscape of a rainbow of colors. The view from Tawa Point. June 13, 2011. 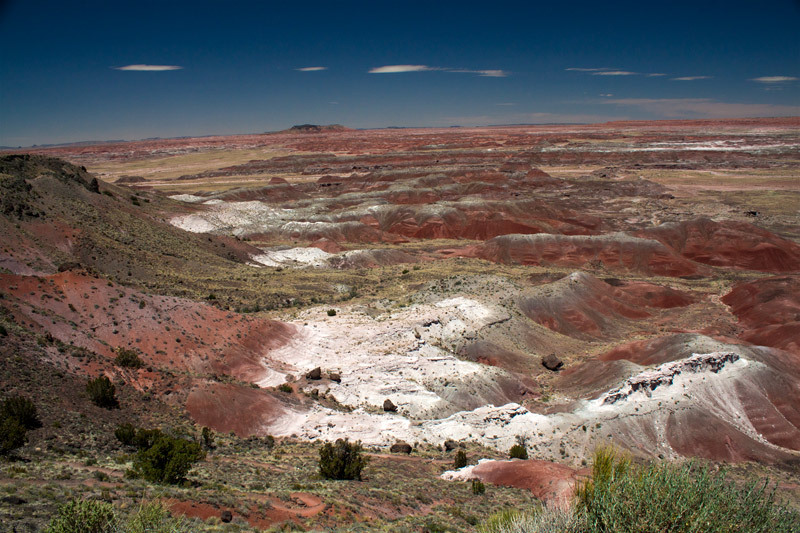 The Petrified Forest National Park, which we visited, contains part of the Painted Deserted. We entered the park through the northern entrance and saw the Painted Desert first before going on to the Petrified Forest. We hiked a short trail at Kachina Point to capture these views of the Painted Desert. June 13, 2011. The colors of the sandstone and mudstone layers of the landscape are the result of varying mineral content in the sediments and the rate at which the sediments were laid down. 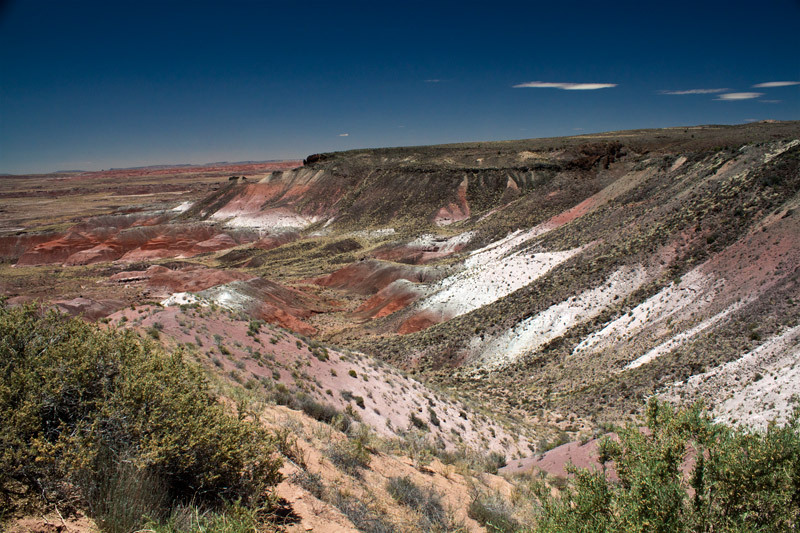 When sediments are deposited slowly, oxides of iron and aluminum become concentrated in the soil and create the red, orange, and pink colors seen in the northern part of the park. During a rapid sediment buildup — such as a flooding event — oxygen is removed from the soil forming, blue, gray and lavender layers. These colors are prevalent in the southern portion of the park. Our final stop in the Painted Desert was at Nizhoni Point. June 13, 2011. The park is covered by the “Chinle formation”, a very soft layer of earth consisting many of mud, sandstone, and volcanic ash. 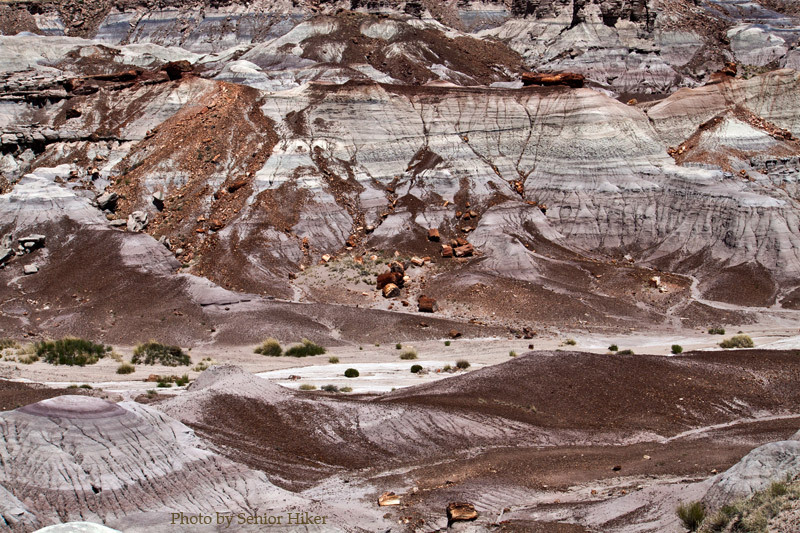 The softness allows for fantastic erosion, which contributes to the remarkable beauty of the Painted Desert. Betsy with Becky and Michael, Jackson, Tennessee. June 10, 2011. One of the nicest things about the trip that Betsy and I took last month was that we got to meet three good friends for the very first time. On the very first day of our trip we met Becky of Thoughtfully Blended Hearts and her husband Michael for lunch. They were both as charming and as friendly in person as they are in Becky’s blog. Betsy and Vedarae, Amarillo, Texas. June 12, 2011. On our way through Texas we met Cotton Lady, Vedarae, for lunch. Vedarae doesn’t have a blog, although I’m confident she could write many fascinating and interesting posts. Vedarae and Betsy have been e-mail buddies for quite some time, and it was a pleasure for me to meet and get to know her. 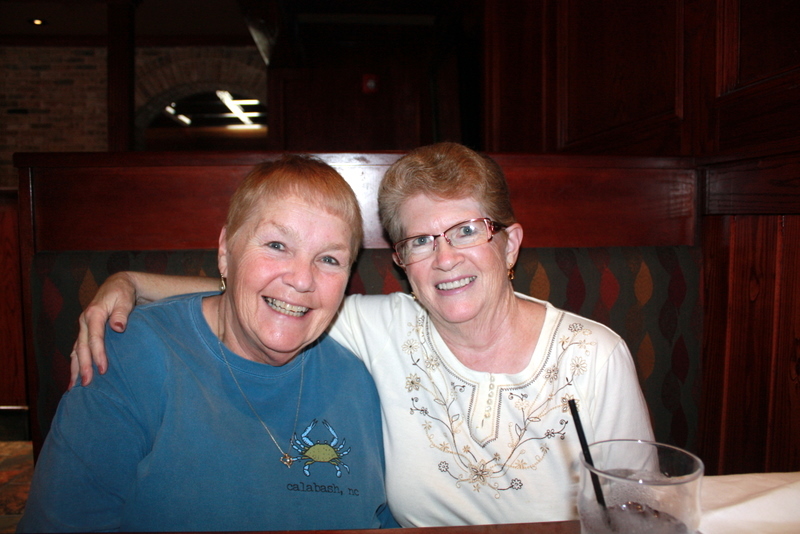 Betsy and Linda, Grand Junction, Colorado. June 24, 2011. 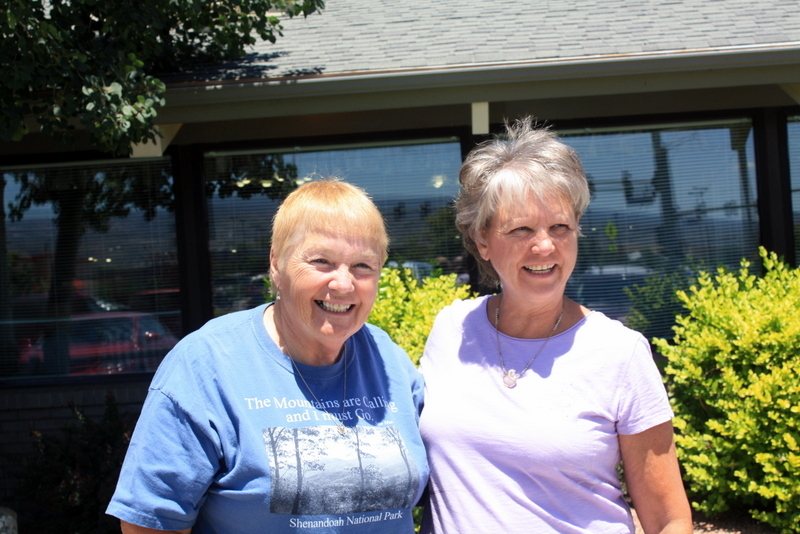 On our way to Rocky Mountain National Park we met Linda — Colorado Farm Life — and her husband, Terry, for lunch. (Are you beginning to see a pattern here?). Meeting them was truly like seeing old friends again. Linda’s blog is full of insights into the joys — and trials — of farm life and both Betsy and I enjoy following her. The time with the two of them went entirely too quickly, but we hope to meet them again either here in Tennessee or when we return to Colorado. If you ever get the chance to meet a blog friend in person, I encourage you to do so. I promise you won’t regret it. Parson Branch Road, Great Smoky Mountains, Tennessee. May 23, 2011. Last Tuesday Betsy and I took a ride in the Smokies in our Prius, Mrs. P. One of the seasonal back roads, Parson Branch Road, had recently been opened for the season. Mrs. P sometimes thinks she is an off-road vehicle and was up to the challenge. 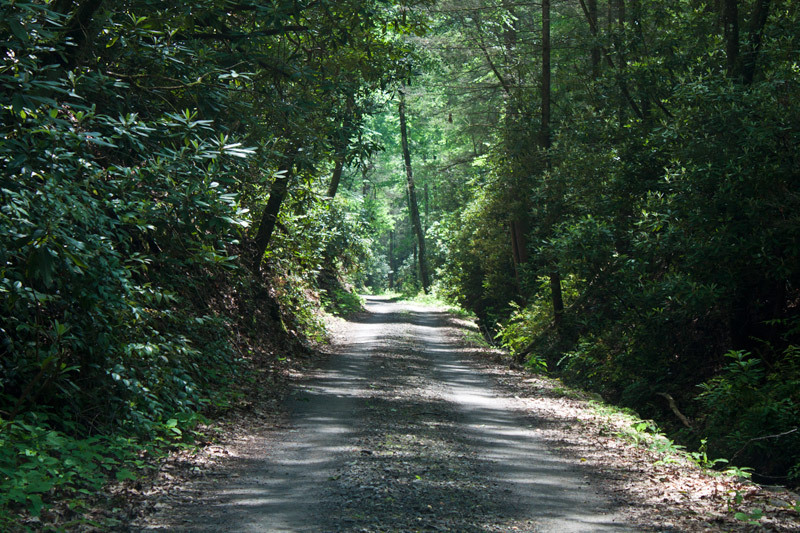 We had to drive through part of Cades Cove to get to Parson Branch Road, but that is always a gorgeous drive. When we got to the road, we saw a big sign announcing that Parson Branch Road was a ‘primitive’ one-way road and that it would take at least an hour to make the eight miles to US 129. (I wish I had thought to take a picture of that sign.) The picture above shows one of the better sections. We enjoy taking these back roads whenever possible, because they often lead to waterfalls that aren’t listed in any of the books we have. We did find several waterfalls along Parson Branch Road which I’ll talk about in future posts. At one point along that eight mile stretch of road I thought Mrs. P might let us down, but she managed to get up a pothole-filled stretch of road (slowly) and had no problems the rest of the way. But our adventure wasn’t over when we reached the paved highway US 129. 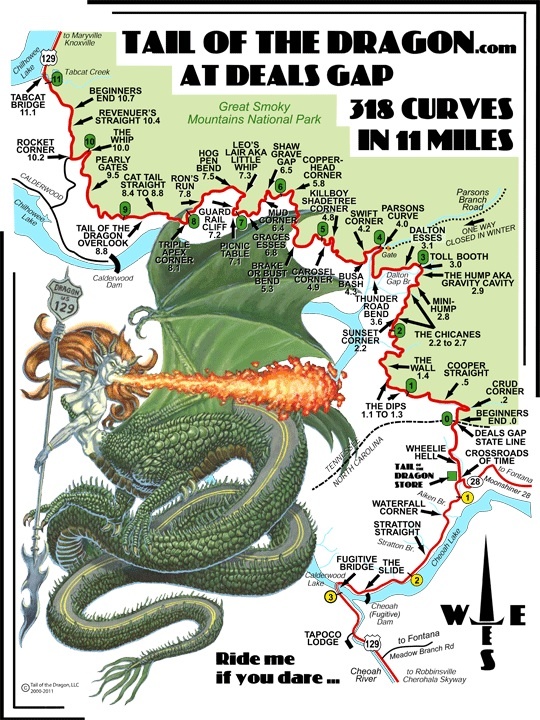 We came onto the road along a stretch known as The Tail of the Dragon. As the poster above states, there are 318 curves in 11 miles of road. Obviously traffic doesn’t move at interstate speeds along this stretch of road. It’s a favorite of motorcyclists, however, and people come from all over the country to ride The Tail. All in all we had a very interesting, adventurous and scenic day in the Smokies. The restaurant at Cumberland Mountain State Park, Crossville, Tennessee. May 15, 2011. On Sunday, May 15, Betsy’s youngest son, Jeff, came up to the Glade for a visit. It’s been a while since he was up here (he lives in Chattanooga), so we took him to Cumberland Mountain State Park near Crossville to celebrate Mother’s Day (a little late) and his birthday (May 14). 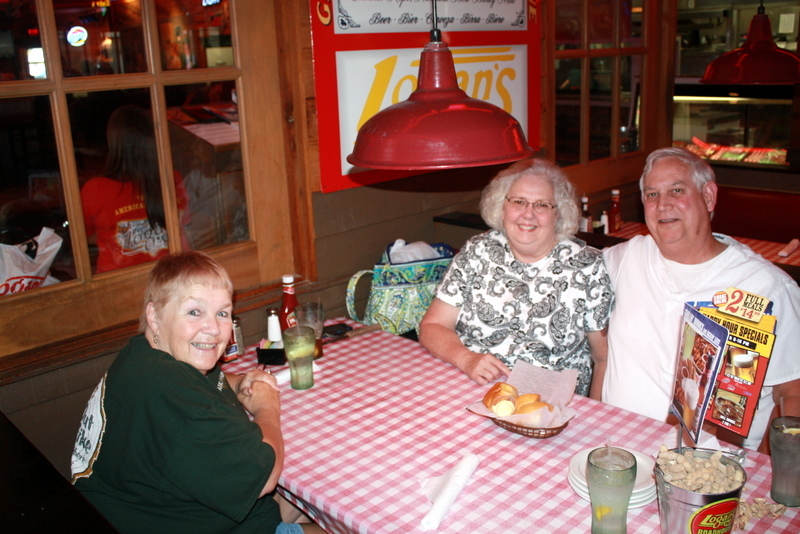 Cumberland Mountain has a wonderful restaurant (pictured above) and they serve a delicious buffet. 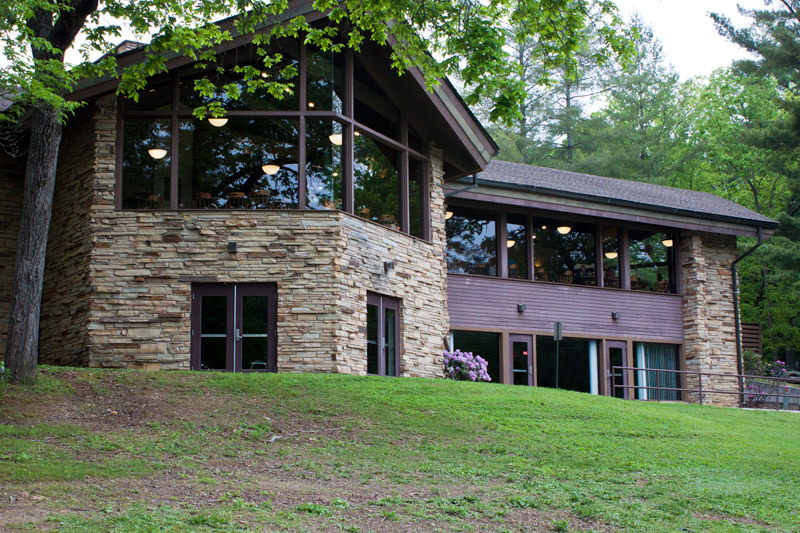 As you can see, the restaurant has many windows that offer beautiful views of Byrd Lake. 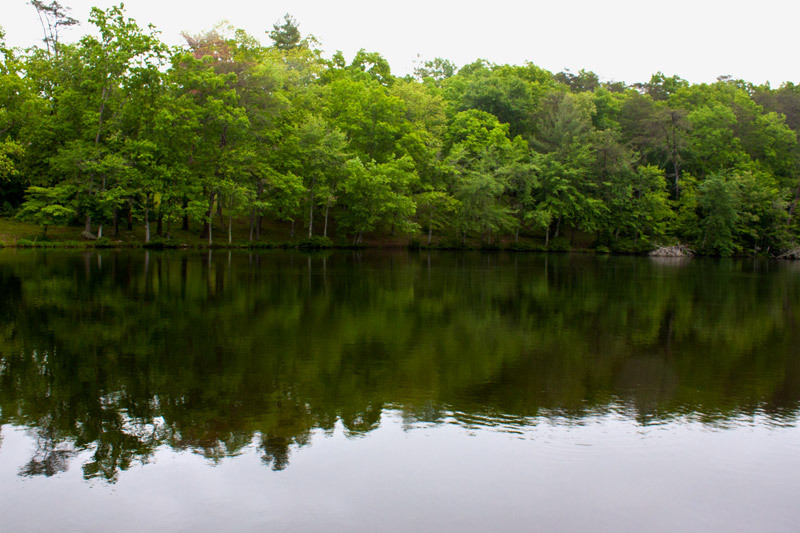 Byrd Lake, Cumberland Mountain State Park, Crossville, Tennessee. May 15, 2011. Byrd Lake was created in the 1930s when the park was established. The CCC built the dam on Byrd Creek which formed the lake. Byrd Lake Dam, Cumberland Mountain State Park, Crossville, Tennessee. May 15, 2011. The Byrd Lake Dam is the largest masonry dam built by the CCC. 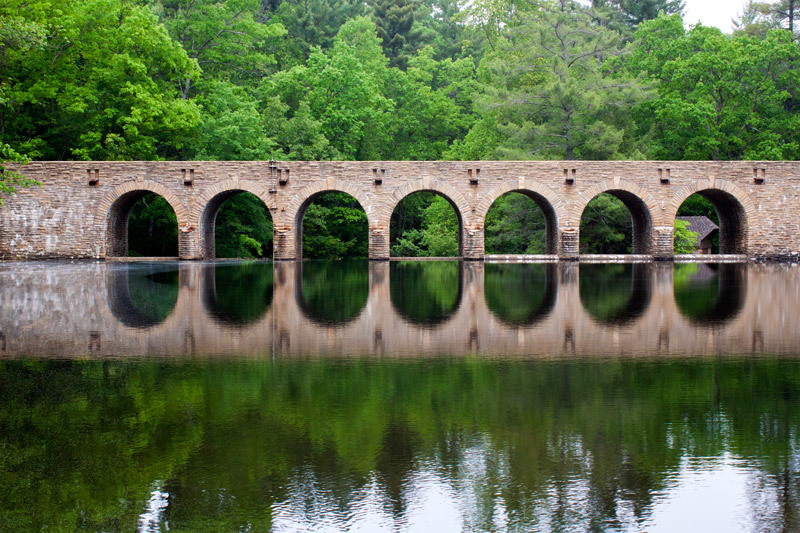 A unique feature of this dam is the seven arches that support the road crossing the dam. 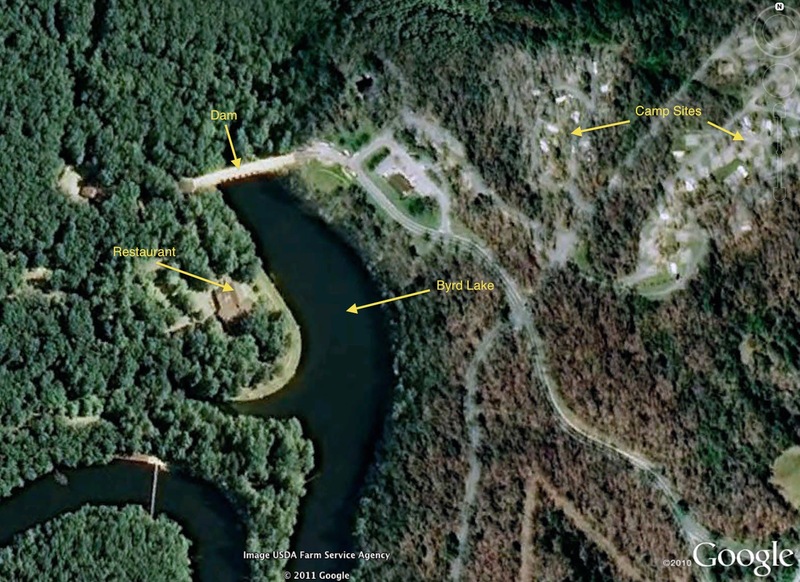 The bird’s-eye view of Cumberland Mountain State Park shown above is taken from Google Earth. This picture can be made larger by clicking on it. Roses in front of our house, Fairfield Glade, Tennessee. May 13, 2011. I promised Betsy a rose garden about five years ago, when my job ended and I retired. That first year we planted some roses in a flower bed we had built at the side of the house. It quickly became apparent that that location was too shady for roses, and so we built new flower beds in front of the house, which is the sunniest part of our yard. The picture above, which Betsy took on Friday, shows how well I’ve kept my promise. 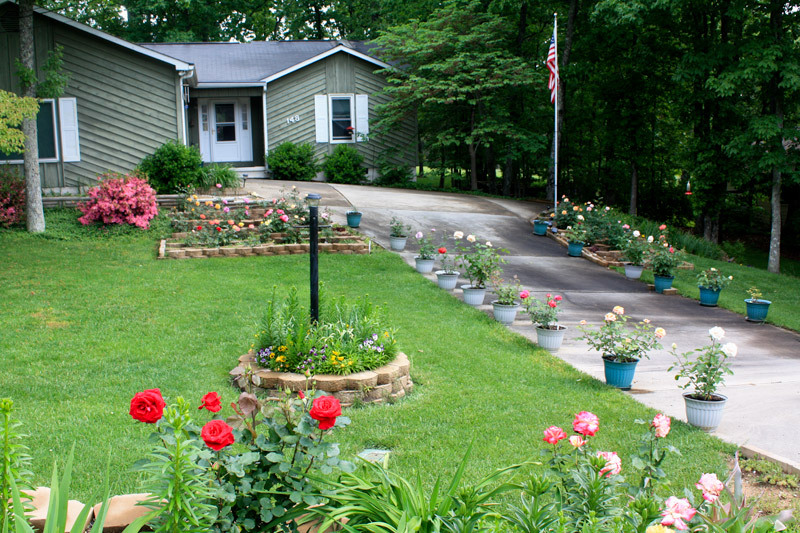 You can see three rose beds (one near the road in the foreground, and one on each side of the driveway near the house. In addition we have roses in containers along the sides of the driveway. We have a total of 57 rose bushes — 55 different varieties. All are hybrid teas or grandifloras. We have roses of just about every color imaginable, and many of are also fragrant. 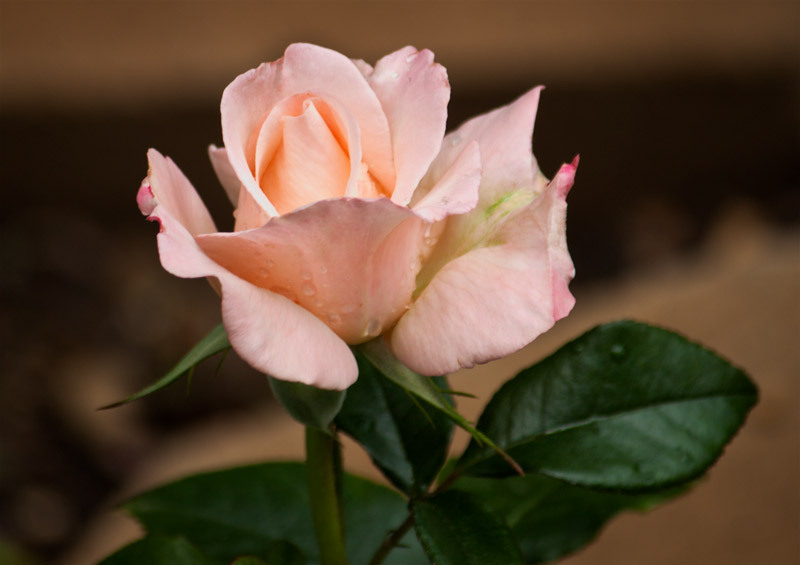 A beautiful rose that has a delightful fragrance is about as perfect as anything can be. Crescendo Rose, Fairfield Glade, Tennessee. May 14, 2011. The rose above, Crescendo, is one of our new roses for this year. The light wasn’t very good (it had been raining) when I took this picture on Saturday, but I couldn’t resist the temptation to snap away.